I opted for this nice darker grey color instead of the usual army green/military inspired color. 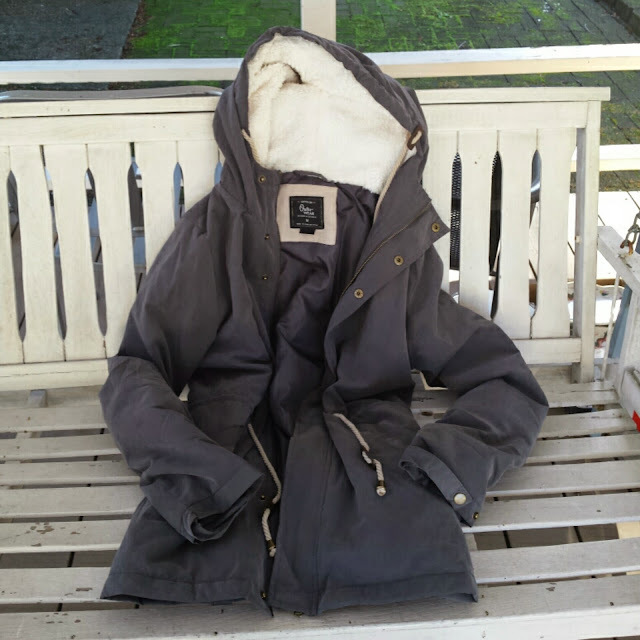 This jacket is lightweight with faux fur lining at the hood (which makes it really soft and warm for my ears! I love that it has a drawstring both at the waist to give you shape and form as well as the hood to keep yourself really bundled. 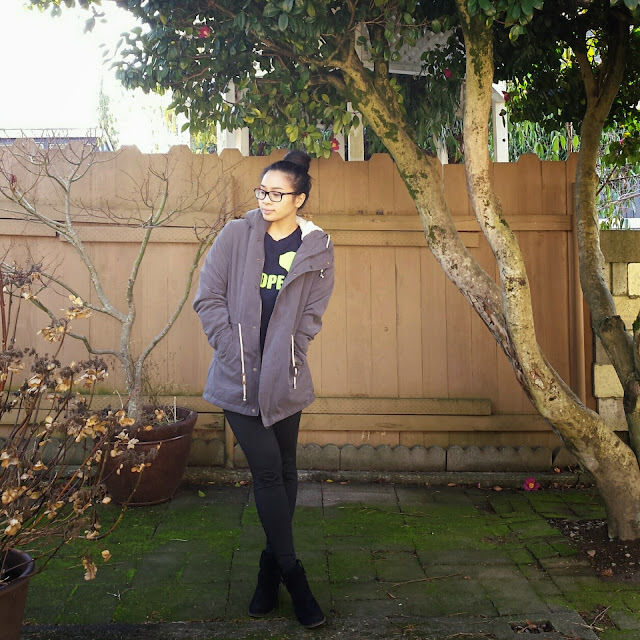 This jacket hits right on my upper thigh which makes it just the right length--not too long and not too short. Since it is lightweight, it makes it even more perfect for layering. 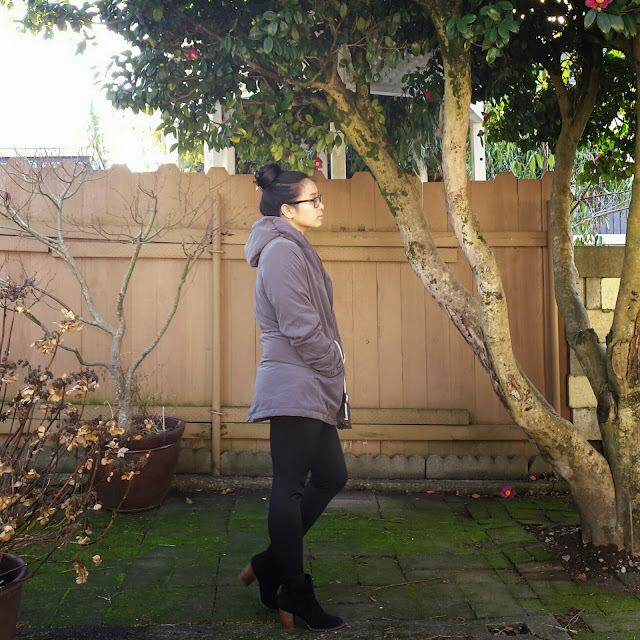 When the weather isn't freezing up here in the PNW, I have found myself reaching for this jacket since it goes with almost everything I wear since it is pretty neutral. 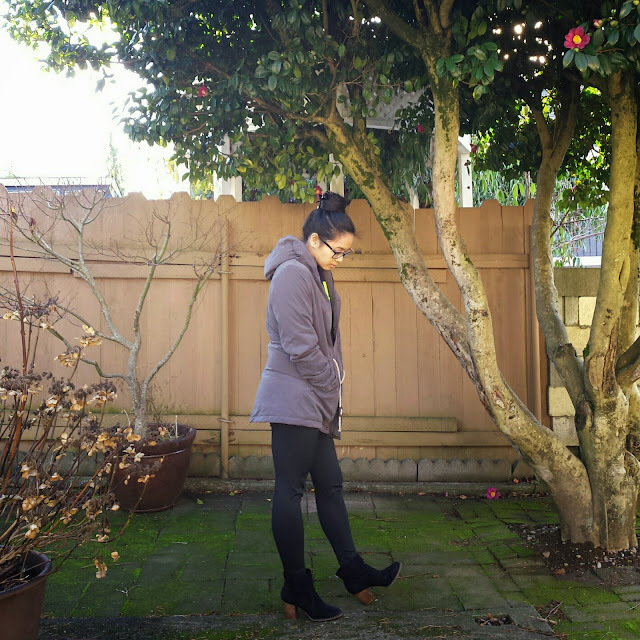 This particular jacket was $59.99 on the Cotton On website and during Cyber Monday, this was 50% off so I paid about $30 for it which is such an awesome deal! This exact style isn't on the site anymore, but there are similar ones HERE that are on good deals too! I'm so glad I found this piece--I have nothing like this in my collection. I know I will get a ton of use out of this throughout Winter and even on through next year well into Spring. Readers, do you like the anorak style jackets? 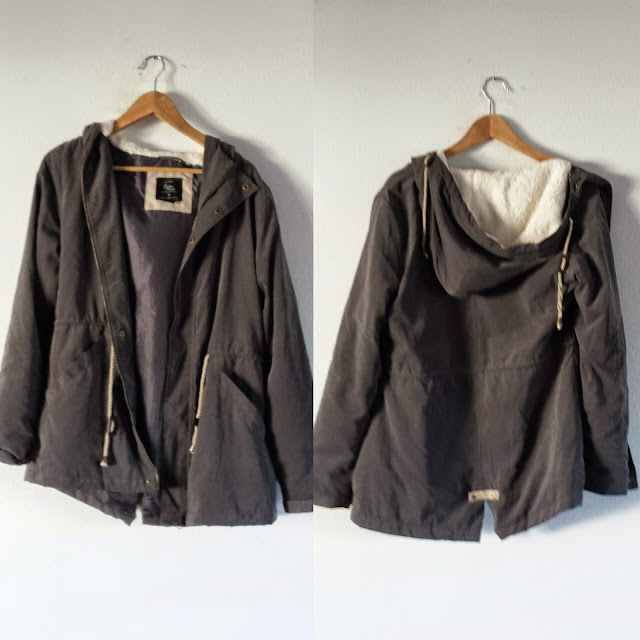 What are some of your favorite jackets to wear during the colder months? Let me know! Thanks for stopping by! I'd love to follow each other on those platforms. Let me know when you do so I can follow right back!